December 31, 1951: The Wild Bill Hickok Show appeared for the last time on Mutual. 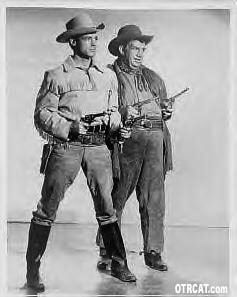 The show starred Guy Madison as Wild Bill and Andy Devine as his assistant, Jingles P. Jones. 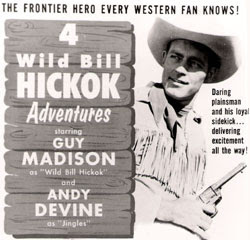 Guy Madison played Wild Bill Hickok a true American folk hero. He was a scout, a gunman, and a lawman. His accounts were partially fictionalized, but the basis of the show was truth.